In a blog post, Google (s goog) has announced that it will soon discontinue support for older browsers in Google Apps. Beginning Aug. 1, Google Apps will only officially support the current and prior major release of Chrome (s goog), Firefox, Internet Explorer (s msft) and Safari, (s aapl) on a rolling basis. So after Aug. 1, Firefox 3.5, Internet Explorer 7, and Safari 3 will no longer be supported. Certain features may stop working in those browsers (and in previous versions), and eventually, Google Apps may stop working entirely. Each time a new browser version is released, Google will begin supporting that update, and then stop supporting the third-oldest version. As Google’s Venkat Panchapakesan noted in his post, Google Apps takes advantage of the newer technologies supported by more recent browsers, such as HTML5, to power some of its advanced features, like drag-and-drop file uploads. Maintaining support for older browsers that don’t include these newer technologies, or only have partial implementation, means not being able to implement certain features, or having to invest considerable engineering efforts to produce workarounds in order to implement them. As more vendors come to rely on the capabilities and power offered by HTML5 and related technologies to produce web apps that can match the power and functionality offered by desktop applications, it wouldn’t be surprising to see more web apps going down this route. 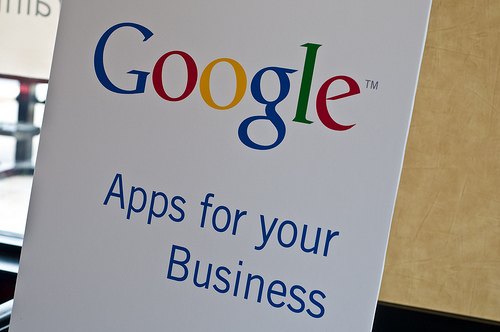 It’s probably not a decision Google took lightly, as this change will affect a significant number of Google Apps users. Taking a look at WebWorkerDaily’s stats, for example, shows that a small percentage of users do continue to use the older browser versions affected. However, as Google will simply stop testing new features and bug fixes in unsupported browsers, it’s unlikely that affected users will see any serious degradation in functionality for some time.